Advertised sale prices discounted from lowest price available in the 45 days before 20 December 2018. Lower prices may have been available for indirect flights on certain routes. During the Sale period flight prices may be reduced further for a short period as part of a Centenary promotion. The availability of such lower prices will be clearly advertised where applicable. Prices include all taxes, fees and carrier charges, correct as of 20 December 2018. Flights to all destinations must be booked between 12:00 GMT 20 December 2018 and 23:59 GMT 31 January 2019.
a. Travel in World Traveller and World Traveller Plus from London Gatwick to Cancun, Orlando, Fort Lauderdale, Tampa, New York, Las Vegas, Antigua, Bermuda, Barbados, Grenada, Kingston, Lima, Male, Mauritius, Providenciales, Port of Spain, Punta Cana, San Jose (Costa Rica), St. Kitts, Tobago and St. Lucia is available for selected outbound travel dates between 8 January 2019 and 30 December 2019.
b. Travel in World Traveller and World Traveller Plus from London Heathrow to Austin, Nashville, New York, Chicago, Las Vegas, Pittsburgh, Phoenix, Abu Dhabi, Johannesburg, Cape Town, Durban, Seychelles, Muscat, Tokyo (Haneda and Narita), Osaka, Hong Kong, Seoul, Beijing, Shanghai, Bangkok, Kuala Lumpur, Singapore, Sydney, Nassau, Grand Cayman, Buenos Aires, Rio de Janeiro, Sao Paulo and Santiago is available for selected outbound travel dates between 15 January 2019 and 13 December 2019.
c. Prices may vary based on the dates selected for outbound and inbound flights as part of a return journey. a. The following routes require a Saturday night stay in World Traveller and World Traveller Plus: London Gatwick to Cancun, Orlando, Fort Lauderdale, Tampa, Las Vegas, New York, Antigua, Bermuda, Barbados, Grenada, Kingston, Lima, Male, Mauritius, Providenciales, Port of Spain, Punta Cana, San Jose (Costa Rica), St. Kitts, Tobago and St. Lucia. b. The following routes require a Saturday night stay in World Traveller and World Traveller Plus: London Heathrow to Austin, Nashville, New York, Chicago, Las Vegas, Pittsburgh, Phoenix, Abu Dhabi, Johannesburg, Cape Town, Durban, Seychelles, Muscat, Tokyo (Haneda and Narita), Osaka, Hong Kong, Seoul, Shanghai, Beijing, Bangkok, Kuala Lumpur, Singapore, Sydney, Nassau, Grand Cayman, Buenos Aires, Rio de Janeiro, Sao Paulo and Santiago. a.For all travel on the following routes an advance purchase of 7 days is required for World Traveller: London Gatwick to Antigua, Bermuda, Barbados, Grenada, Kingston, Lima, Male, Mauritius, Providenciales, Port of Spain, Punta Cana, San Jose (Costa Rica), St. Kitts, Tobago and St. Lucia. b.For all travel on the following routes an advance purchase of 7 days is required for World Traveller: London Heathrow to Johannesburg, Cape Town, Durban, Seychelles, Nassau, Grand Cayman, Buenos Aires, Rio de Janeiro, Sao Paulo and Santiago. c.For all travel on the following routes an advance purchase of 14 days is required for World Traveller: London Gatwick to Las Vegas, Pittsburgh and Phoenix. d.For all travel on the following routes an advance purchase of 14 days is required for World Traveller: London Heathrow to Austin, Nashville, Chicago, Pittsburgh, Phoenix, Hong Kong, Seoul, Shanghai and Beijing. e.For all travel on the following routes an advance purchase of 14 days is required for World Traveller Plus: London Gatwick to Antigua, Bermuda, Barbados, Grenada, Kingston, Lima, Male, Mauritius, Providenciales, Port of Spain, Punta Cana, San Jose (Costa Rica), St. Kitts, Tobago and St. Lucia. 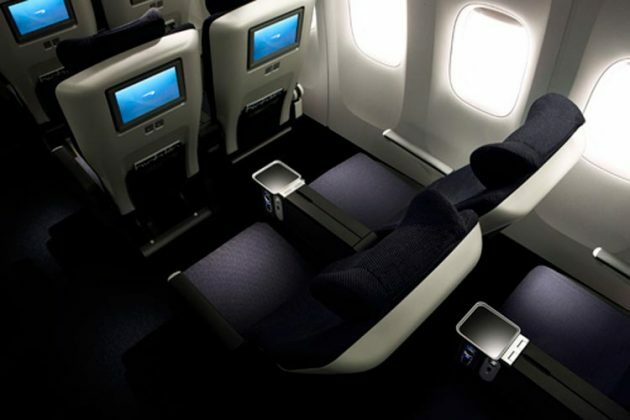 f.For all travel on the following routes an advance purchase of 14 days is required for World Traveller Plus: London Heathrow to Shanghai and Beijing. g.For all travel on the following routes an advance purchase of 21 days is required for World Traveller and World Traveller Plus: London Gatwick to Cancun, Fort Lauderdale, Tampa and Orlando. h.For all travel on the following routes an advance purchase of 21 days is required for World Traveller: London Heathrow to Bangkok, Kuala Lumpur, Singapore and Sydney. i.For all travel on the following routes an advance purchase of 21 days is required for World Traveller Plus: London Heathrow to Nassau, Grand Cayman, Buenos Aires, Rio de Janeiro, Sao Paulo and Santiago. j.For all travel on the following routes an advance purchase of 28 days is required for World Taveller Plus: London Heathrow to New York and London Gatwick to New York. 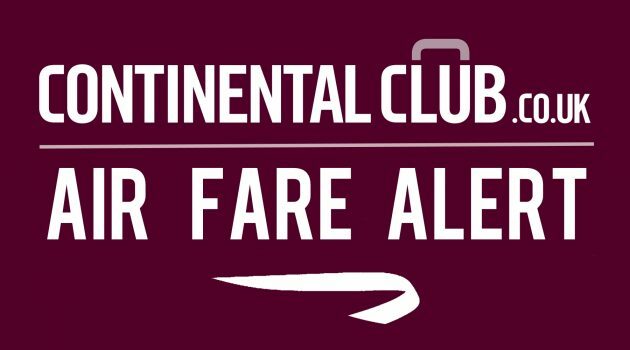 All promotional flights are non-refundable. Flights booked in World Traveller and World Traveller Plus are changeable for a £150 fee (plus any additional fare for changes). For Club Europe, Club World and First, no changes are permitted. For all cabins, changes are not allowed on the day of departure. The date of departure is determined by the local date and time of the departing country. 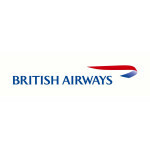 Regional connections to London Heathrow or London Gatwick for travel to onward long haul destinations are excluded from this promotion, and vary in cost depending on the regional airport.